The HL-20 was one of two concepts considered for the Personnel Launch System. 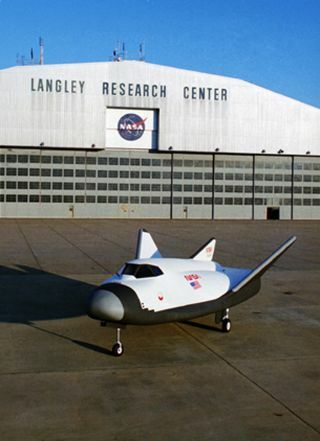 In this historical photo from the U.S. space agency, the NASA Langley Research Center lifting body, called the HL-20, is shown in front of the hangar. The HL-20 was one of two concepts considered by NASA as a type of Personnel Launch System (PLS). In essence, it would serve as a space taxi to and from the space station. The full scale engineering model is 29.5 feet long, and 23.5 feet across the wingspan.